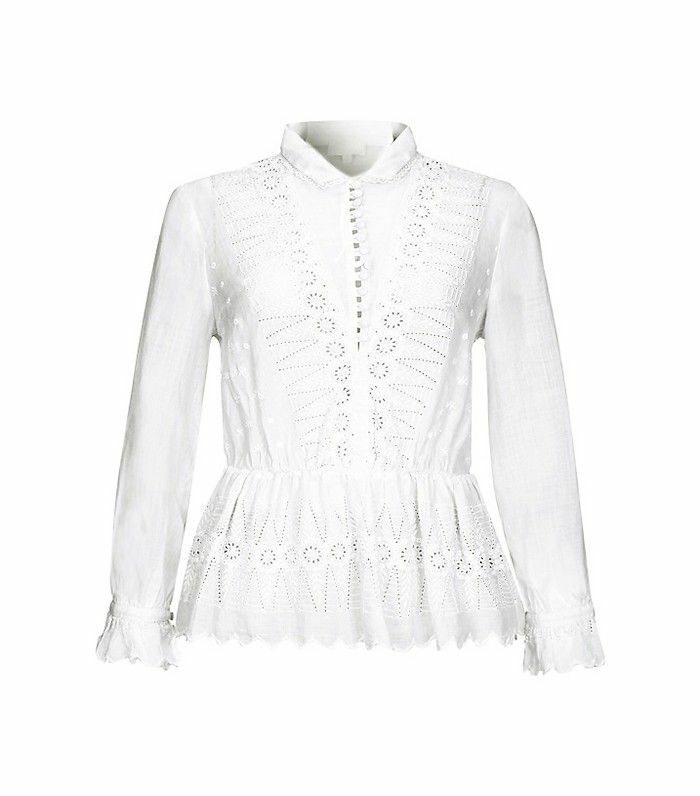 As celebrity stylist Cher Coulter recommended to us only recently, one of the strongest pieces in a girl's summer wardrobe is that of the white boho blouse. Whether rendered in vintage lace or in breezy cotton broderie anglaise, this perennial power piece suits everyone. It looks like a series of influential British fashion bloggers and editors agree, and they've formed a united consensus for a front-runner: All of the girls here have anointed the Ghost Erin Blouse (£195) as the best—it's all over Instagram right now. Yes, you'll be thinking Ghost? I remember them, they did slip dresses in the '90s, and you'd be right. But the brand has been undergoing a shift into offering much more these days (those slip dresses still exist, and they are way above your average, FYI), and the runaway success of this pretty top will certainly change your mind. In fact, the label is looking particularly strong in the blouse department. For more summer styling tricks and tips, check out these 11 style bloggers and their most recent outfits.